Computerized X-Ray in Washington, D.C.
With Computerized X-Rays, special sensors, instead of film, use 90% less radiation than traditional X-rays for safer results. The image pops up instantly on a large TV screen, where the talented dentists at Washington Center for Dentistry and the patient can see more detailed images than ever before! This leads to better diagnoses and more accurate and precise treatment plans in the long-run. The reduced exposure to radiation makes it safer for more high-risk groups like pregnant women, younger children and older patients. "This place is expensive, but well worth it. I've never had such great dental health or felt so competent in taking care of my teeth. The office is very well-designed. They make an effort to make sure you are comfortable. There are water bottles and juice boxes in the mini fridge, a great view, and computers to use while you wait. I love how WCD uses technology. On your first visit, you fill out your forms on an iPad. In the exam rooms, there is a monitor facing the seat. The hygienist takes photos or x-rays of your teeth and those images come up on the monitor. The hygienist and the dentist then reference these photos as they talk to you about your teeth. Very helpful! I usually just nod along when the dentist tells me sometg about my teeth, but now I can actually see what they're talking about and it has made me so much more proactive in my dental health. When I've had more extensive work down, I was brought a warm, wet towel after the procedure to freshen up my mouth and face at the sink. I've never had that kind of service at a dentist before! Much appreciated. I read a few negative reviews here. That is expected since the office is run by humans, but I was still kind of surprised. I have it had any cosmetic work done there though, so I cannot comment on that. It is pricey. I am a young person early in my career, not making buckets of money, but I think it is worth the price. You do have to pay up front, but they send the claim to your insurance. I have read a review that said they don't do this, but I have not have that problem. Yesterday the receptionist said, "I'm sending your claim electronically right now." I also read that people felt that insurance was frowned upon there, but please know that that is to the general attitude of the office. Maybe that person had a rare interaction with a snooty receptionist (whom I've never come across at the office, they've all been very nice). I highly recommend this place if you don't typically like the dentist experience. They will make you very comfortable. Make sure your insurance will cover you though, because it is expensive." "I go to college in D.C. and was in search of a dentist to finish some work I had anticipated after my last cleaning back home. The website was very easy to navigate, and after filling out the necessary paperwork, the staff immediately followed up on scheduling my first appointment within the week. Dr. Katsaros was extremely professional and efficient. He used step-by-step photos and x rays as supplements to describe the work he was doing, so someone like myself with little knowledge of dental procedures knew exactly what was going on. The staff was also very patient and helpful in assisting with any questions I had about insurance coverage, and scheduling follow up appointments. Of course, the facilities are peaceful and accommodating, but if you are deciding on a dentist, come to this office for the 5 star service patients are given by all members of the team!" "I have been going to Dr. Deutsch since 1992. I have always found the dental care to be excellent, far superior to other dentists I went to in the past. The entire staff is competent, pleasant and professional. Since you only get one set of permanent teeth, you want the care you receive to be top notch, even if that requires paying a little more. I highly recommend this practice." "I am new to the area and needed a dentist for a temporary repair that needed work. I Initially I was expecting to be told it would require a crown. But after taking an X-Ray and a couple of photos, Dr. Fordjour felt he could take care of it with a new filling. Saved me some money and a saved me from the hassle of getting a new crown. Process was smooth and efficient. " 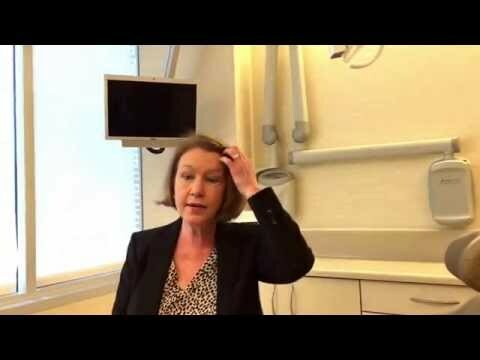 Washington Center for Dentistry Video Testimonial from Susan D.
Less Radiation. Computerized x-rays expose patients to an astounding 90% less radiation that traditional x-rays. This greatly reduces the occurrence of any side effects and is especially helpful for patients who need regular x-rays. It alleviates the fear of repeated radiation exposure for medical professionals, as well. Quicker Appointments. Since there’s no film to be developed and images appear on the computer instantaneously, your dentist can get you in and out much quicker. High-Quality Images. Traditional x-rays can be hard to see and decipher, but that’s not the case with computerized x-rays. When displayed on the screen, they can be enlarged or magnified to get a better view. The color, contrast and brightness can all be adjusted to get a better look at what’s going on in your mouth. Empowered Patient. Feel the power of seeing the ins and outs of your mouth in clear detail. With computerized x-rays, you can get an inside view of your own mouth, right along with your dentist. Don’t worry about squinting at a typical x-ray and pretending like you know your molar from your incisor because you’ll be able to see everything brilliantly with computerized x-rays! The whole process is quite simple for the patient. You will be given an intra-oral sensor to bite down on. Chomp down, but not too hard, and the sensor will project images of your beautiful mouth onto the computer screen. It only takes a few minutes and you shouldn’t experience any pain or discomfort. Getting the Job Done Quicker! Do you worry about radiation exposure when you get x-rays done? Do you hate waiting around for what seems like forever during the process? All of these problems and more can be solved when the talented dentists at Washington Center for Dentistry use computerized x-rays. These highly-advanced x-rays use sensors instead of film to increase safety and efficiency, while decreasing waiting times. 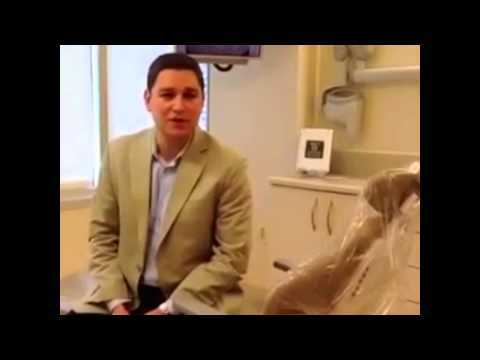 Plus, as the patient, you can see the condition of your mouth in real-time thanks to a chairside computer screen. Contact us today to learn more about computerized x-rays.